was created in a virtual wilderness between Hot Springs and Malvern when the Arkansas Power and Light Co. (now Entergy Corp.) completed Remmel Dam in 1924 to generate electricity. It was the state's first major hydroelectric facility. 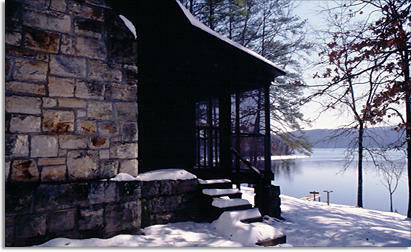 Though 11 miles long, the lake covers a mere 1,940 acres, nestled in narrow valleys of the Ouachita Mountains. Fishing: Though the lake is popular for water-skiing, swimming and other water sports, anglers come to the lake for its largemouth bass, spotted bass and striped bass, crappie, bream, and catfish and walleye fishing. A rainbow trout fishery, stocked by the Arkansas Game and Fish Commission, exists in the lake's tailwaters below Remmel Dam. 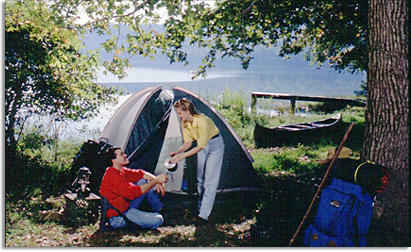 Lake Catherine State Park offers 17 fully-equipped cabins with kitchens, 70 campsites, a marina selling bait and fuel in summer and renting boats throughout the year, a launch ramp, a swimming area, picnic sites, playgrounds and hiking trails. Guided horseback trail rides are available in summer. 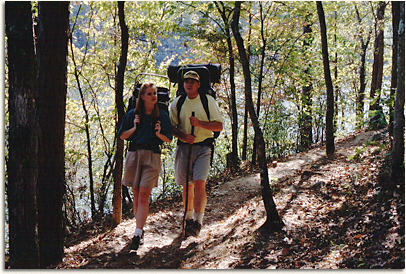 Interpretive programs include guided hikes and boat tours.